Which are the best places to visit in Thailand? Have you ever wonder which are the best places to visit in Thailand? Thailand is considered to be a sparkling jewel in the crown of Southeast Asia. It is a holiday paradise that welcomes travelers with open arms regardless of their budget. Thailand is ideal for the backpacker as well as those who are looking at splurging. Thailand is located right at the center of Southeast Asia and is aptly referred to as the heart of this continent. Read on to find out the 7 most interesting places to visit in Thailand. 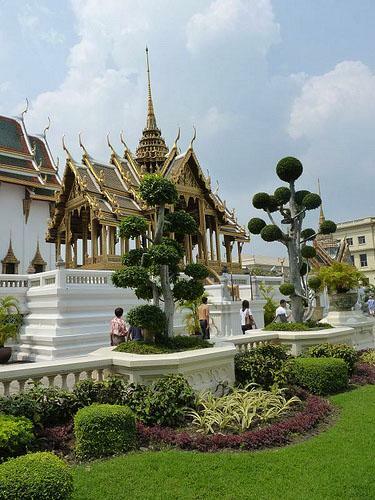 Bangkok – Expect the unexpected at Bangkok, the capital of Thailand. This city has a mystical air about it as if it is trying to tell you a secret. The city is known for its famous and some infamous attractions. As you step foot into Bangkok you may be overwhelmed with the crowd and the chaos. Roam the streets and sample the fresh street food that Thailand is so famous for. Visit the various temples and get a feel of the faith and religion of the people. Explore the Khaosan Road, a short street that offers the visitors hotel accommodations, dance clubs and bars. The street comes to life after sun down. Koh Samui – Koh Samui is the second largest and most beautiful island in Thailand. This island is the ultimate party destination and the Full Moon party held here is a highly anticipated event. The island during the day is a great place to relax and unwind on the white velvety sand. The crystal clear water is warm and inviting. Phuket – Travel in the south west direction to reach Phuket. This island is a great place to explore the gorgeous outdoors of Thailand. If visitors wish to indulge in a bit of sightseeing then this is the right place to go to. Phuket has some of the beautiful sun kissed beaches with mesmerizing vistas. Visitors can also explore the underwater aquarium, feed hungry crocodiles at the crocodile farm and visit the enchanting butterfly garden. Ayutthaya – Having traveled all the way to Thailand it would be a loss if visitors don’t venture out to Ayutthaya. This is a Heritage Site and is located an hour away from Bangkok. Explore the temples, the museums and historical structures of this ruined city. San Kamphaeng – San Kamphaeng is surrounded by mountains and is known for its relaxing natural hot springs. Generally, tourists trek the mountains and later retire into the hot spring to rejuvenate and unwind. Floating Market – The Floating Market is one of the main attractions of Thailand and offers tourist a unique shopping experience. The market functions on the canal of Thailand and it is all about sitting on boats and floating through the canal buying fruits, desserts and artifacts. Thailand is a paradise on earth. It is a great place to let your hair down and escape into the magical offerings. You are sure to leave a part of your soul behind. Uttoran Sen the author of the “Top 7 places to visit in Thailand” is a blogger and a webmaster since 2004, he likes to explore various places and tourist destinations throughout the world and write them down on his travel blog. For more travel tips and tour packages, please visit travel tamed. Great information! I think this post being very useful for the folks visiting first time to thailand.Thanks for sharing it.